But enough about Mae. She’s awful, both because she’s awful and because she’s sometimes awfully written. Let me tell you about The Circle. 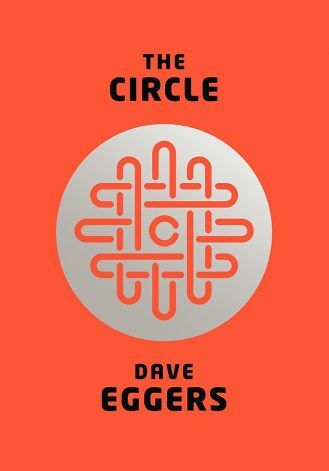 The Circle is a sort of composite of all the social networks we already know and love/hate. People share status updates, endorse others’ posts by sending smiles or sharing Zings about them, launch protests by starting petitions or sending frowns, and find kindred spirits by creating social and support groups around shared interests. All online activities happen under one umbrella, making it easy for The Circle to know just about anything about anyone who bothers to build an online presence. The Circle’s campus might look to some like a dream office—it certainly does to Mae. There’s great food, fitness facilities, social groups for almost any interest, great entertainment and educational options brought in free. The health plan is comprehensive, and Mae is even able to get her parents on the health plan, which is a wonderful benefit given her father’s struggles with MS. It has always seemed to me that a company that makes it possible to get all your needs met at the office may not want you to leave the office, and that’s certainly the case at The Circle. Mae’s activities are carefully monitored, and when she leaves campus without reporting in on her activities, even if just through posting a photo taken while kayaking, she loses rank within the company. (Climber that she is, Mae cannot accept a low rank.) Employees are expected to share everything because “Sharing Is Caring” and “Privacy Is Theft.” As the book goes on, it becomes clear that this kind of open, “transparent” life is not meant to be limited to The Circle’s employees. Soon, no one will be able to hide. The argument Eggers is making is not a subtle one, nor is it particularly original. I think anyone who spends time online has given some thought to the implications of our sharing culture. But he puts some interesting spins on the topic that will probably give some readers pause. How much is too much to share, and how much control should we have over our own information? What responsibility do we have for other people’s privacy? How much data is too much? In some cases, the work of The Circle seems helpful, for stopping crime or promoting health, but what becomes of personal choice and privacy? How does constant monitoring affect our behavior? If everything we say and do is monitored, can we ever be truly ourselves? Or will we become our best selves? If so, is it worth the price? What happens when the entire world is a panopticon? So The Circle is nowhere near perfect. It has some serious flaws, but it’s an entertaining ride. 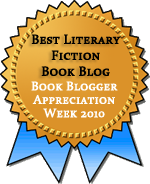 The characters never seem quite real, especially if they’re connected to The Circle, which may be intentional. It’s a long book, around 500 pages, but it moves quickly, and I certainly wanted to see how far The Circle in The Circle would go. There are a couple of twists toward the end, one a serious eye-roller and another that I enjoyed. And there are some hilarious moments. One of my favorites involved the constant pressure Mae is under to endorse anyone who asks—and make it snappy, Mae, so you don’t get frowned at publicly. (So much for authenticity in transparency, right?) I don’t think it’s as important a book as some of the press around it makes it seem, but it does add to a conversation we need to keep having as we put more and more of our lives in the cloud. >>>The argument Eggers is making is not a subtle one, nor is it particularly original. Exactly how I have felt about everything I’ve ever read by Dave Eggers. I want to like him, but I just get exhausted with the way he belabors his points. Yeah, I like a lot of what Eggers has to say, but from my limited experience of reading his stuff, I never feel like he’s saying anything entirely new. That’s my view, too. I don’t mind getting ads tailored to me, for instance, if it means I can use Facebook free, but I don’t want every single thing I do to be online for everyone else to see and judge. No, Eggers’ argument is not subtle or original but as you say, in spite of the book’s flaws it is still an entertaining read. I agree I don’t think it is such an important book but it does add to the conversation about privacy and who owns personal information.